A Gentleman's Luxuries: My first day cravat, a sartorial step in the right direction. I recently did something I've been thinking about doing for quite a while, I bought my first cravat. To be accurate I should probably call it a day cravat as a cravat is really just the name for any type of neckwear. A day cravat is also the same as an ascot as it is more commonly known to the North American readers. The day cravat may not be the most commonly worn neckwear, and compared to ties and bow ties they are not even that easy to get hold of. 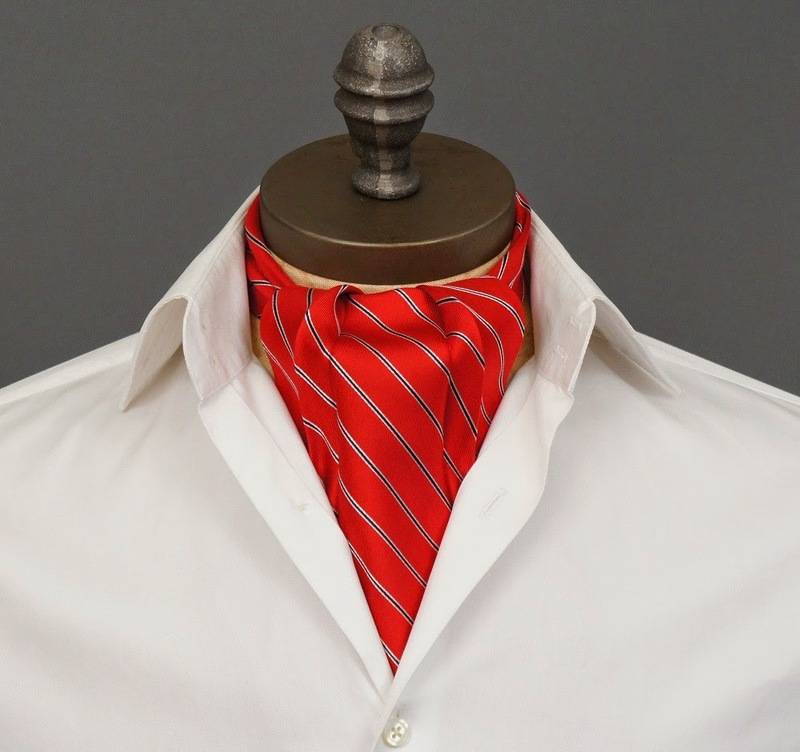 When other neckwear is sold in just about any menswear store, you'll be hard pressed to find a single shop on the high street carrying a decent collection of day cravats. 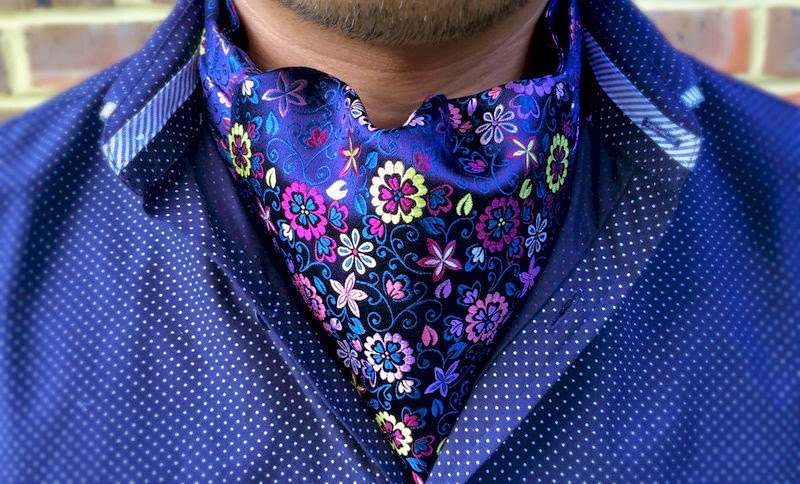 Luckily, some companies have taken it upon themselves to once again supply the world with this wonderful adornment for the gentleman's neck and, not surprisingly, this coincides with a resurgence of the day cravat as a popular accessory for the style conscious gentleman. Although I hope, and believe, that ties and bow ties will again increase their popularity in the years to come, there will always be many who find these too formal and uncomfortable. 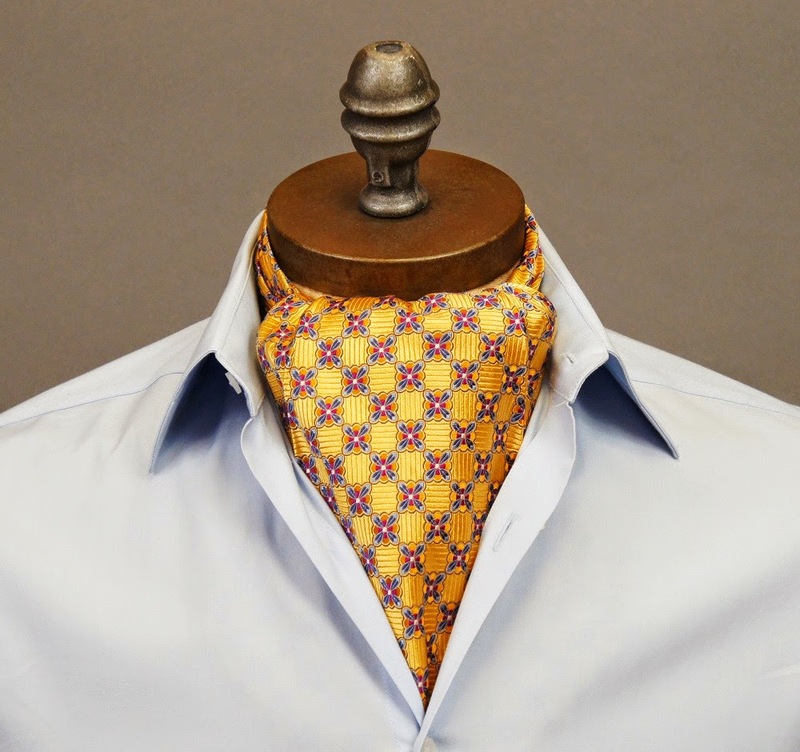 For these people, the day cravat is the perfect solution as it has a less formal appearance and sits loosely and comfortably around the neck, while still being stylish and sophisticated. 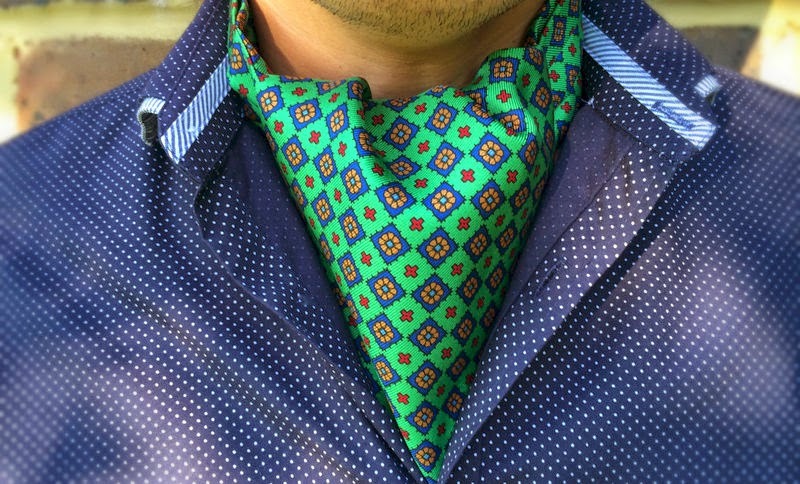 I welcome the comeback of the day cravat with open arms if it can make more people wear decorative neckwear and, personally I see the day cravat as a wonderful addition to my collection of ties and bow ties. The day cravat I recently bought was my very first, but I find it highly unlikely to be my last. I am already thinking about which one to buy next. What I really like about the day cravat is its versatility. It is stylish enough to be used for just about any occasion, yet so relaxed that it is perfect for a Sunday stroll in the park or taking the kids to the playground. 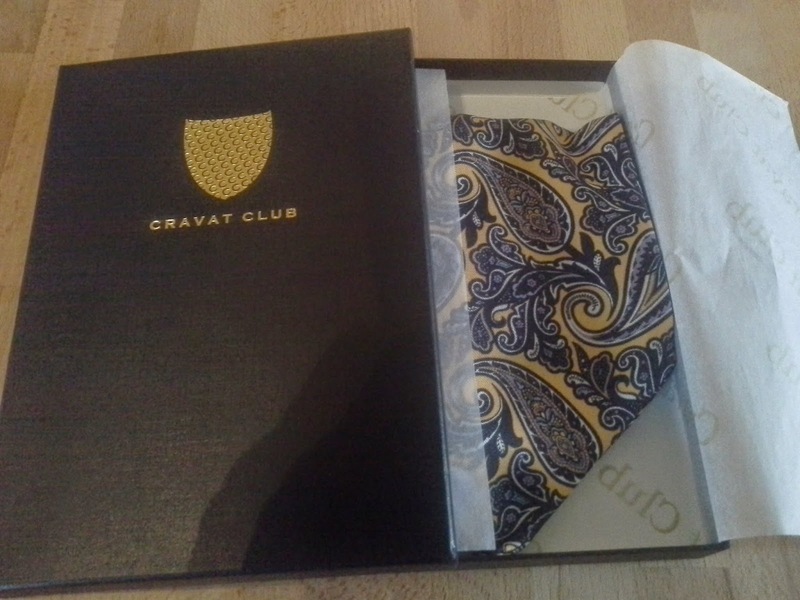 As I mentioned above, there are a few companies having a good selection of day cravats for sale and one of these is the Cravat Club from which I recently bought my first. 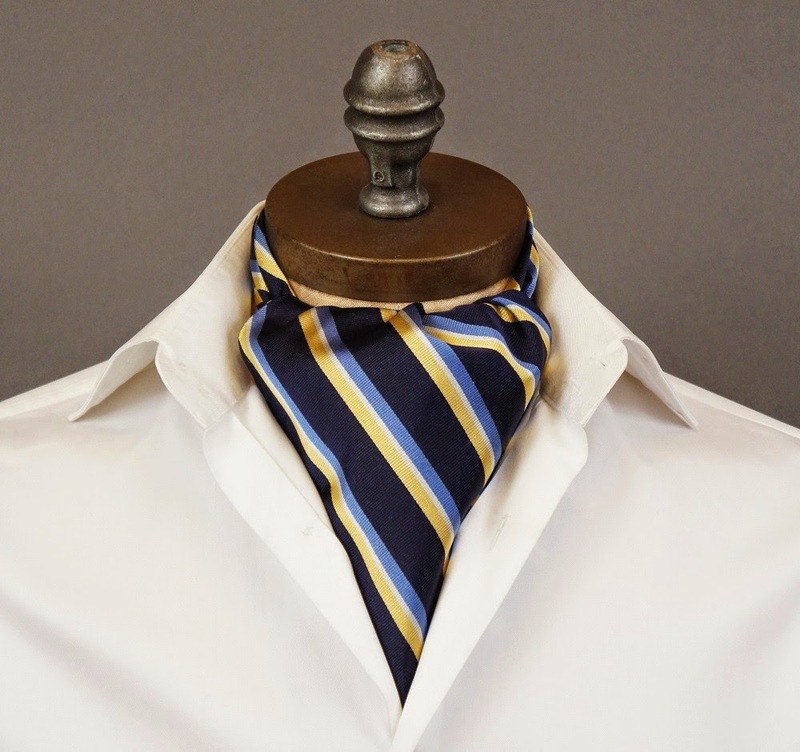 The Cravat Club has a fantastic selection of 100% silk day cravats which are all made in the UK. The one I bought was the one called Zephyrus, described as Aureolin Yellow with Dark Teal, White, Lilac & Pastel Blue Paisley Pattern. Below you can see photos of me wearing the Zephyrus and some of the other magnificent day cravats the Cravat Club has to offer. Have a good look at the one named Oleander, absolutely gorgeous. My first ever day cravat, the Zephyrus from Cravat Club. The Zephyrus matched with a check shirt and Harris tweed. Another company which also specialises in day cravats, or ascots as they call it, is the American company Ceravelo. These are are also 100% silk and produced in the USA. Here are some of my favourites from their collection. Of other companies carrying a decent collection of day cravats, I would like to mention Horse and Hoof and Soprano. All these day cravats are also 100% silk. Horse and Hoof has a particularly nice selection of country themed day cravats. 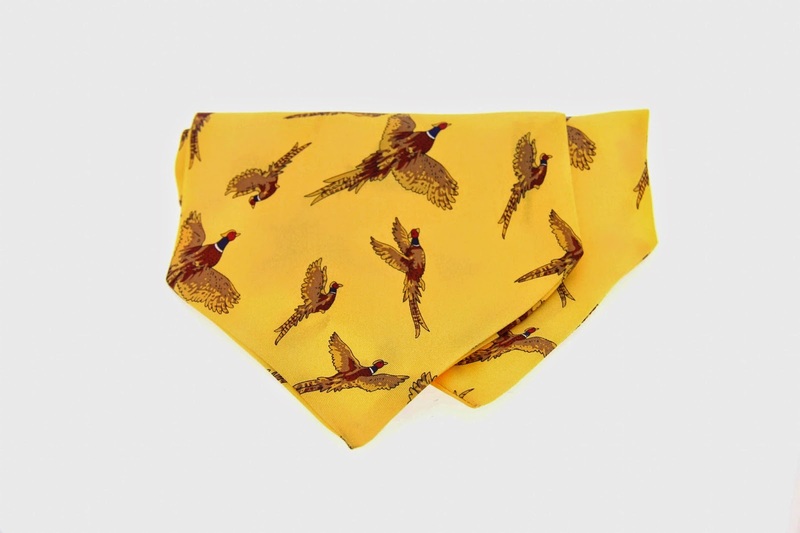 Soprano pheasant gold silk country cravat. 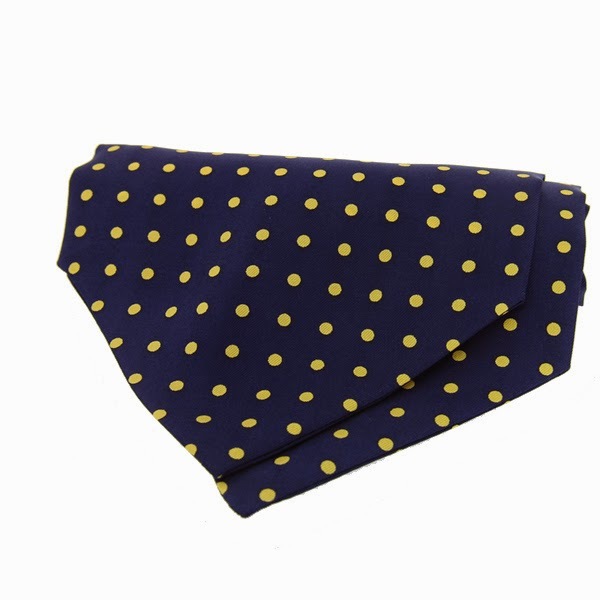 Blue cream polka dot cravat. The day cravat is back and it seems likely that it will increase its popularity in the time to come. 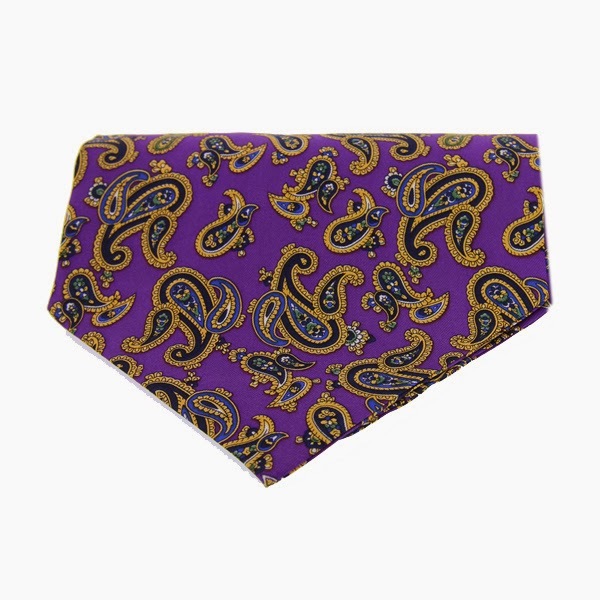 If you don't already have one, have a good look at the different website mentioned above and seek out your favourite day cravat, it can only be a positive addition to your collection of gentleman's accessories. I just bought my first day cravat and the way I see it, it was a sartorial step in the right direction. Spiffing choice to pop your cravat cherry! Cravats are enormous fun as I'm sure you're discovering. 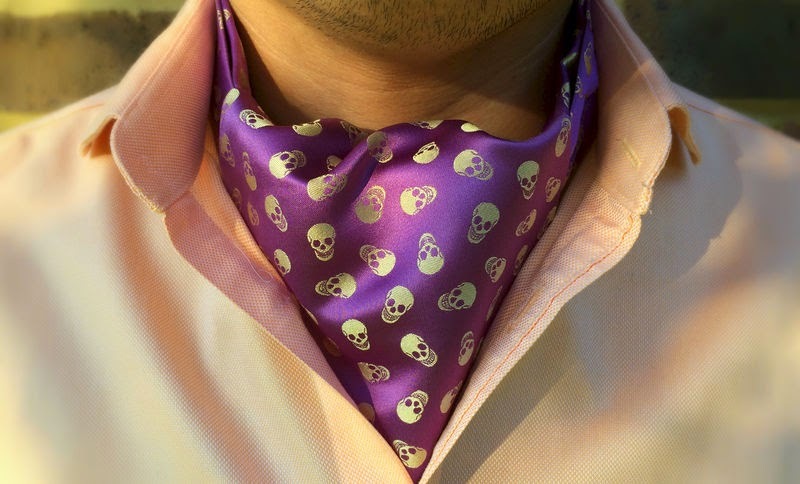 This will be an autumn for exploring the wonderful world of the day cravat. 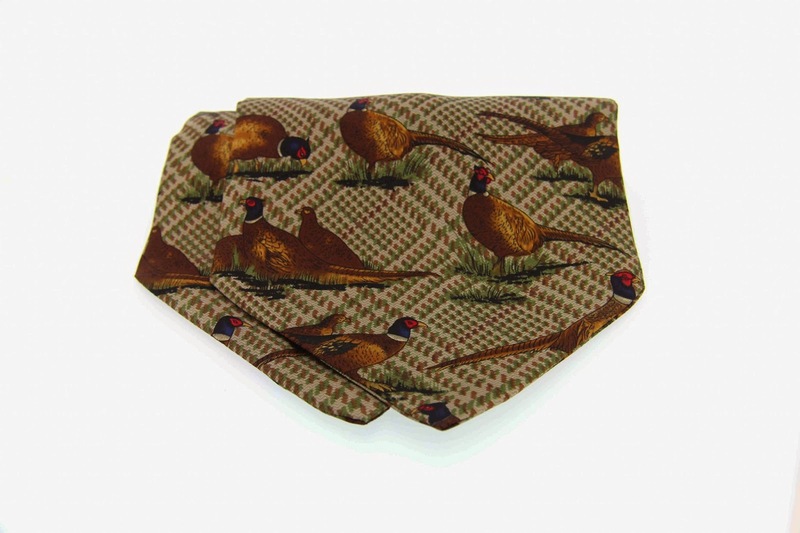 Perfect neckwear when there's a slight chill in the air. I.Sew, masters of the fancy back dress shirt!